Cache Club members receive a drawing ticket for every royal flush (including Wilds) with max credits played on any denomination machine located in the Royal Zone Blitz up until March 31 at 5:30pm. Valid only on 5 card hands. Cash drawings will occur on the last Sunday of each month, January 27, February 24, and March 31. Drawings will occur every hour from 1pm to 6pm. The drawings at 1pm - 5pm will be for $1,000. The 6pm will be for $5,000. Drawing winners must be present to win. If winner does not claim within 3 minutes a new winner will be drawn until the prize is claimed. Winners understand that their photographs may be taken and used for advertising, press, and promotional purposes. Participation in the promotion implies consent for the use of these photographs by Cache Creek Casino Resort. Taxes will be withheld pursuant to IRS guidelines if applicable. Participants must be 21 years of age or older to be eligible. Participants must be Cache Club members to be eligible. Any dispute regarding the play or operation of the games associated with the Royal Zone Blitz promotion shall be handled under the guidelines set out in the Cache Creek Casino Resort Patron Dispute Policy. 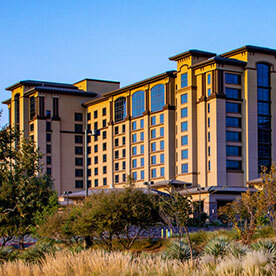 © 2019 Cache Creek Casino Resort. All rights reserved.